There are more than 6 million motor vehicle accidents each year in the United States, which results in nearly 2.5 million injuries annually. Traumatic brain injuries, also known as TBIs, are one of the most common types of injuries associated with car, truck, and motorcycle crashes. According to the Centers for Disease Control and Prevention (CDC), nearly three million Americans are treated for TBIs every year and the American Association of Neurological Surgeons (AANS) estimates that between 50 and 70 percent of TBIs were sustained in motor vehicle crashes. If you were diagnosed with a TBI after being injured in an accident caused by another person’s or entity's negligence, you may be entitled to compensation for your injuries and other damages. Here's what you need to know. A traumatic brain injury, or TBI, is a serious head injury caused by a blow or jolt to the head or body that's so severe, it disrupts the brain's normal functions. While not all blows or jolts result in a TBI, the violent jostling of a car accident creates conditions ideal for causing this type of injury. Concussions. A mild form of TBI, concussions are caused by trauma to the head or a sudden change in movement. Symptoms can include headaches, disorientation, trouble concentrating, and memory loss. Though most car accident victims who suffer concussions make a full recovery, victims can develop a very serious condition known as Second Impact Syndrome if they sustain a second concussion before the first heals. Contusions. During a car accident, a contusion or bruise on the brain can occur when the head strikes an object in the vehicle—such as the steering wheel—or when the brain is shaken so violently it hits the other side of the skull. Contusions can cause pressure to build up inside the skull, resulting in a variety of symptoms, such as confusion, lethargy and fatigue, agitation, emotional distress, or loss of consciousness. Penetrating injuries. This type of TBI occurs when an object penetrates the skull. 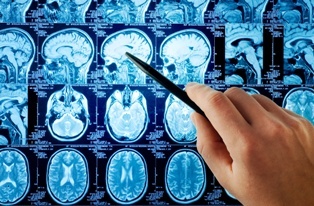 In some cases, a penetrating TBI may expose the brain to the elements and further injury. In other cases, the penetrating object itself may injure the brain directly. Anoxic brain injuries. Caused by a lack of oxygen to the brain, anoxic brain injuries occur when the brain has been deprived of oxygen for several minutes, resulting in the death of brain cells. Each of the above types of TBI can range in severity from mild, to moderate and even severe cases. Depending on the severity of their TBI, accident victims may be unable to hold a job or even care for themselves. As a result, in addition to ongoing medical care for the TBI and related conditions, many TBI patients require 24-hour assistance, whether in their home or in a dedicated facility. Unfortunately, the costs of such care can add up quickly. However, a skilled personal injury attorney can help accident victims who suffered a TBI pursue the compensation they need and deserve. If you or a loved one sustained a TBI in a motor vehicle accident caused by another person or entity's negligence, your life may never be the same again. Let the knowledgeable personal injury lawyers with Cullen and Hemphill, PLC, review your case and help you explore your legal options. Contact Cullen and Hemphill, PLC, today to schedule an appointment for a free initial case consultation.